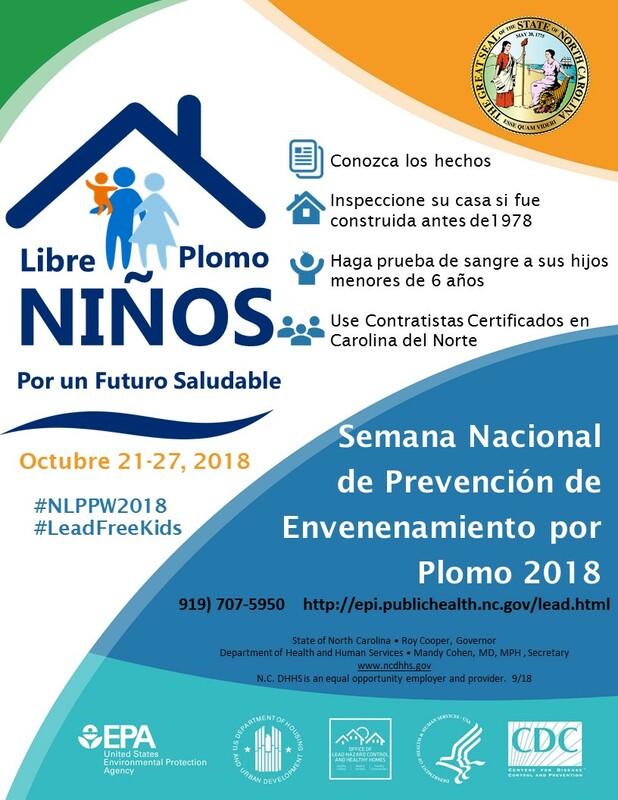 Flyers from the NC DHHS Health Hazards Control Unit in English and in Spanish, with contact information, the HHCU website, and reminders about getting homes tested, getting children tested and using NC certified contractors to work on pre-1978 homes and child care centers. 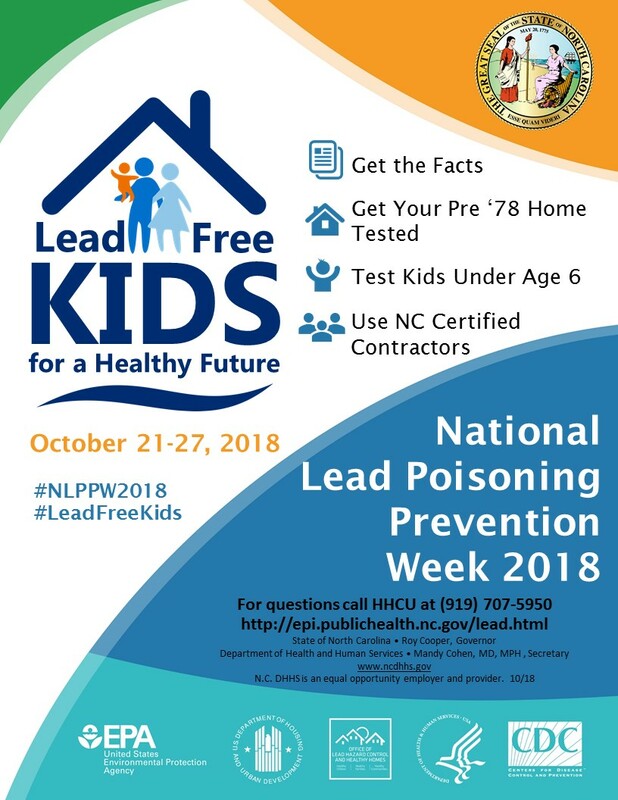 We still welcome any information on lead-related programming that you’re conducting this week and beyond, since the Governor’s office has proclaimed October as NC Poisoning Prevention Month. 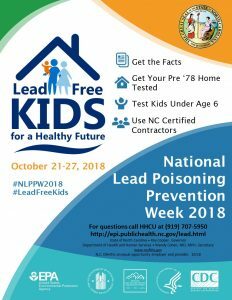 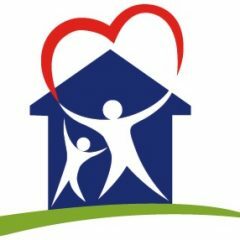 Share the information with us (merodgers@unc.edu or neasha_graves@unc.edu), and we’ll post it on the NC Healthy Homes website calendar and to the listserv.